Escape to the Hampshire countryside and enjoy a relaxing overnight stay at The Red Lion, in one of our 7 hotel bedrooms. Unique hotel rooms in Odiham, near Hook. 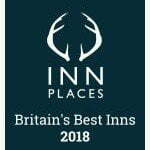 If you are looking for accommodation in Odiham, our newly refurbished pub offers hotel rooms providing the perfect retreat near Hook and Basingstoke. Marrying the rustic charm, this historic inn is packed with character, alongside contemporary comfort and style. We offer Bed & Breakfast with a delicious continental breakfast served Monday to Friday and a hearty cooked breakfast at weekends. 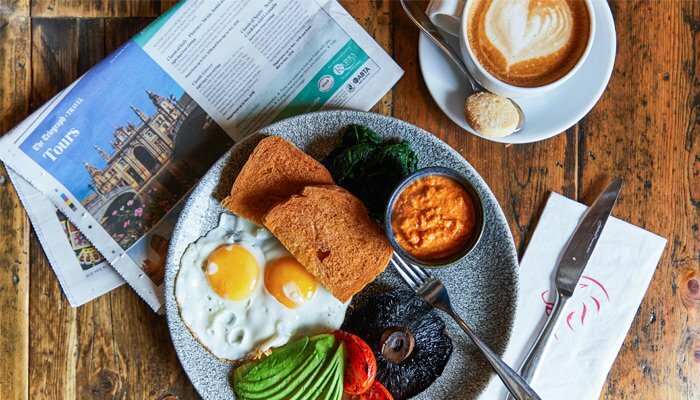 Whether you fancy healthy granola and yoghurt to start your day or the full-works with our tasty Full English, our team of chefs source their ingredients locally to ensure our breakfasts are fresh and seasonal. Located just 2 miles from the M3, The Red Lion is the perfect location for business trips, family getaways or weekend escapes. There’s no shortage of things to do nearby, from Legoland to the Bombay Sapphire Gin Distillery… Take a look at our at our ‘Things to Do‘ page for ideas. In a building that’s over 500 years old, The Red Lion offers a charming hotel with a traditional pub feel, combined with touches of luxury. Whether you’re stopping over for business or pleasure, during the week or over the weekend, our friendly team will help make your stay in Odiham a unique and memorable one. Please do not hesitate to get in touch, or speak to a member of staff about how we can help make your visit even more perfect. Includes a tasty continental breakfast Monday to Friday or a hearty cooked breakfast on Saturdays, Sundays and Bank Holiday Mondays. Includes a delicious three-course meal from our seasonal à la carte menu or daily specials board, plus a tasty breakfast the following morning. Perfect for families or those wanting extra space. 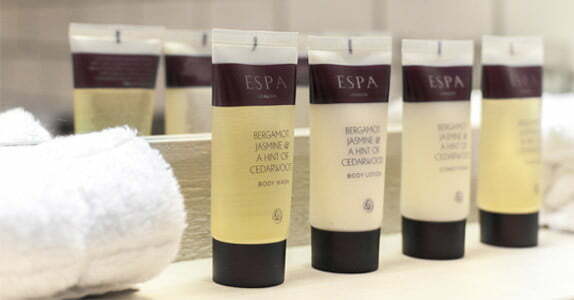 £50 supplement for the 2nd room, as well as fee for breakfast/dinner. Subject to availability – please call to book. 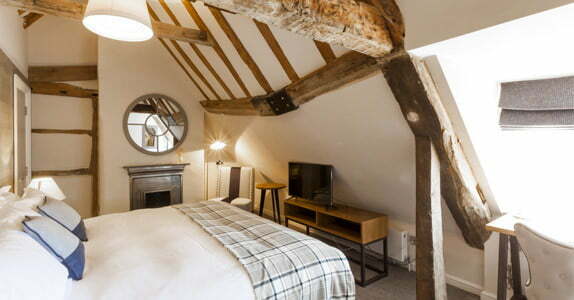 Just returned from a 3 night stay at The Red Lion, an old building which has been beautifully updated. The en suite bedroom was like a page out of Country Living magazine. 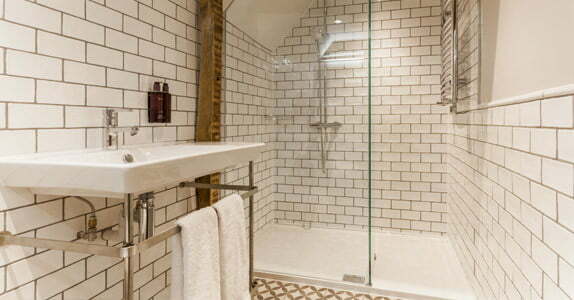 Spotlessly clean with comfy bed and soft pillows, sparkling clean bathroom with lovely toiletries, fluffy white towels, bath robes and a fabulous walk in shower. All the staff were brilliant, really friendly, professional and helpful from the moment we arrived, nothing was too much trouble. We ate in the pub restaurant each night and the food was delicious. Definitely somewhere to go back to. 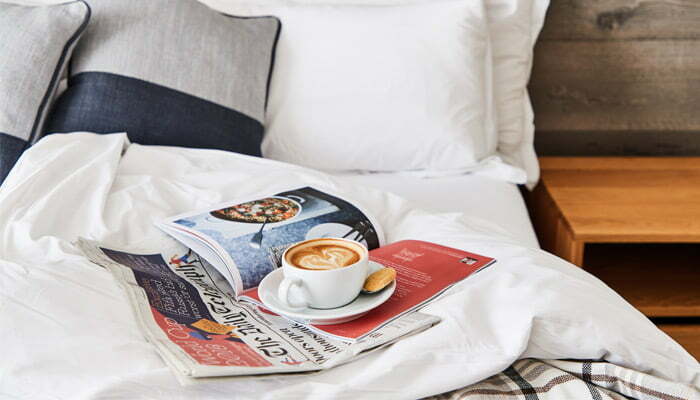 A continental breakfast is available mid-week, alongside the morning papers and cooked breakfast is available Saturdays, Sundays and Bank Holiday Mondays. A member of staff is available from 9am -11pm, 7 days a week at the main reception to offer assistance and make your stay comfortable. We don’t have our own car park but being on the high street, there’s plenty of parking nearby. There is a pay and display car park just behind us which costs £2 to park for a full day or is free between 6pm and 8am the next day. If you’re booking a Dinner, Bed & Breakfast package, then don’t worry, we will automatically book you a table so please advise when booking what time you would like your table reserved for. 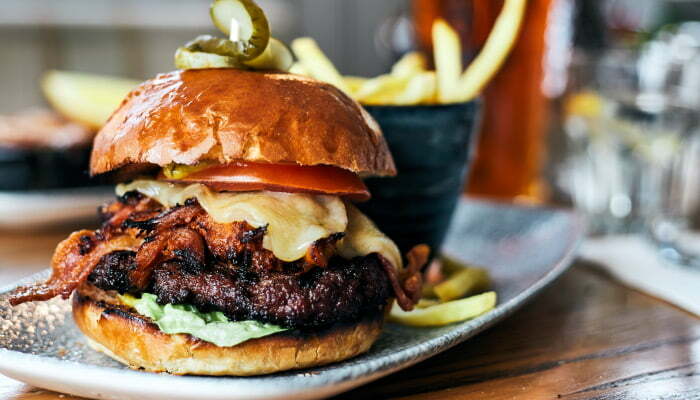 If you have booked B&B only and decide to have dinner in our pub, we would recommend booking in advance, so we can ensure your table is ready for you. You can do so by contacting us or you can book online via our easy booking system. Take a look at our menus to see what takes your fancy. Being located just 2 miles from the M3, you are spoilt for choice for things to do near us; from renting a long boat and cruising down the local canal, to visiting one of the nearby attractions including Odiham Castle, Hattingley Valley Winery, Birdworld, Bombay Sapphire Gin Distillery, Marwell Zoo, Wellington Country Park and much more. Click here to visit our Things to Do page, to find out more about what’s near us. Absolutely! We’re a family-friendly pub and hotel and love to have smaller visitors. If you let us know the ages of your children in advance, we’ll make sure there is a toy box full of fun games and books waiting in your room on arrival, to keep the little ones entertained during their visit. We will also include a cosy kids bathrobe in your room, to ensure they feel right at home. Downstairs in our friendly pub, we offer a yummy Kid’s Menu with homemade dishes that are both low in salt and sugar where possible. Take a look at our Kid’s Menu here. Should you need a little more space, we have the facility for two interconnecting rooms, ideal for those travelling as a family. If you require an extra bed or cot for children, please do let us know at the time of booking to avoid disappointment. 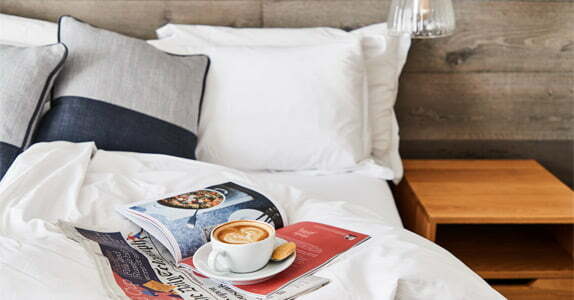 Due to limited availability, this option can only be booked over the phone, so please call us on +44 (0)1256 701 145 to check availability and book our interconnecting room. Can I book all 7 rooms exclusively? You sure can! Our ‘Escape with friends’ package offers you and your group exclusive use of all 7 of our bedrooms at a discounted price. 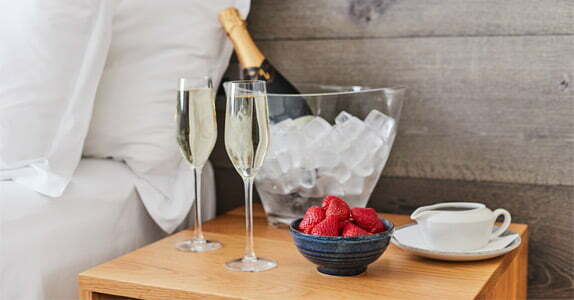 This package includes a three-course dinner, extended bar opening hours for late night drinks and a delicious breakfast the following morning; the perfect escape for up to 14 people, in the privacy of our lovely boutique hotel. Click here to find out more about this package. Where will I find your lowest room price to book? 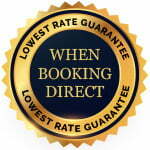 We make a promise that you will always find the lowest rate when booking directly through us. What a lovely idea for a present and the answer is yes! Our Gift Vouchers are the perfect present for those that deserve something extra special. Take the opportunity to show your appreciation, by treating that special person to a relaxing B&B stay in one of our stunning rooms at The Red Lion, with the option to upgrade to include a delicious dinner in our beautiful pub. Unfortunately, we do not allow dogs in our hotel rooms. However, they are more than welcome in our pub downstairs, whilst you enjoy a meal with us. We often have some fantastic offers running for both dining in our pub and on our accommodation. Keep an eye on our offers page to see what deals are available. I'm planning this as a surprise. Can you help arrange this? Please do get in touch with us to discuss your plans and we’ll help in anyway we can to make the occasion one to remember.